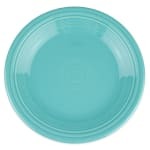 This round plate is finished in a Turquoise glaze. 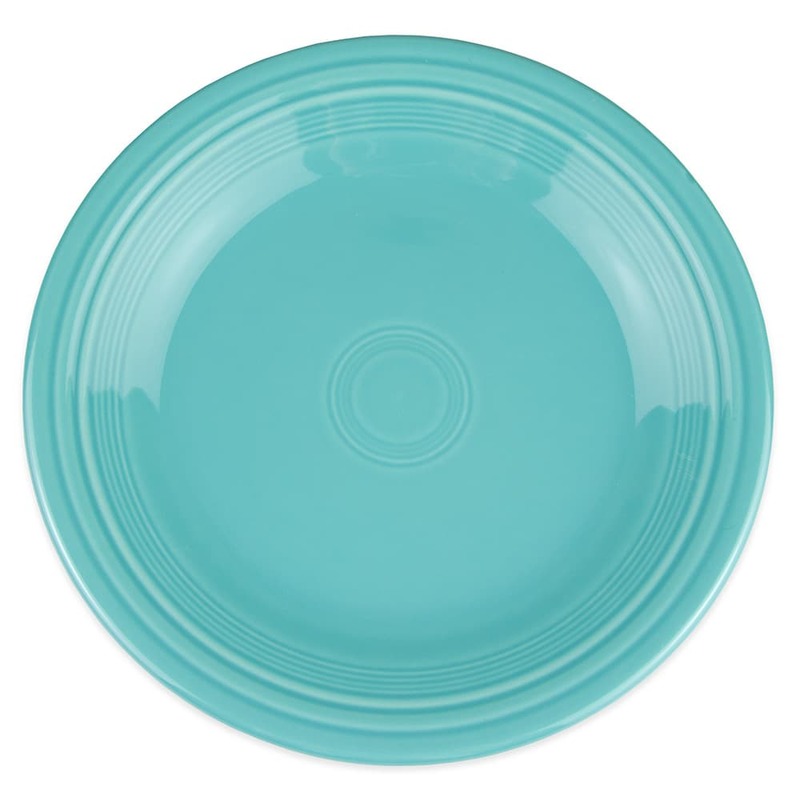 This Homer Laughlin plate works well on its own or when mixed and matched with other Fiesta® colors. The roundness of the plate is complemented by detailing around the rim. The plate is safe in the microwave, oven, and dishwasher.